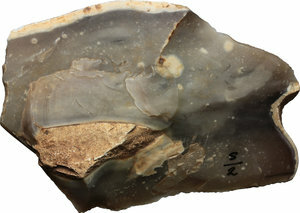 Lot 393 - Neolithic stone chisel. 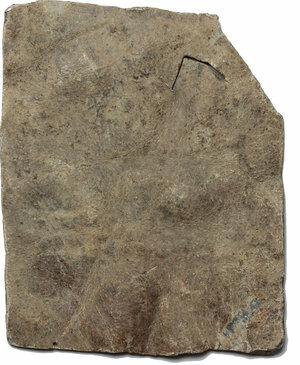 150 x 70 mm. 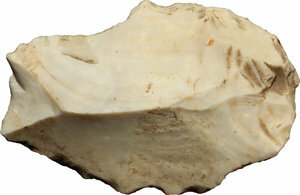 Lot 394 - Neolithic stone chisel. 49 x 33 mm. 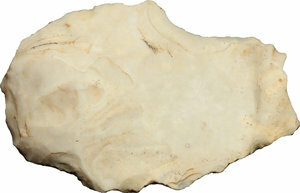 Lot 395 - Neolithic stone chisel. 49 x 80 mm. 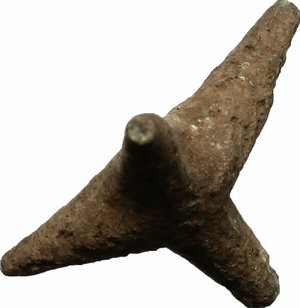 Lot 396 - Bronze Age spear-head. 118 mm. 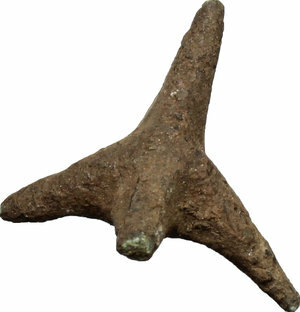 Lot 397 - Large Bronze Age spear-head. 205 mm. Lot 398 - Pair of gold earrings. 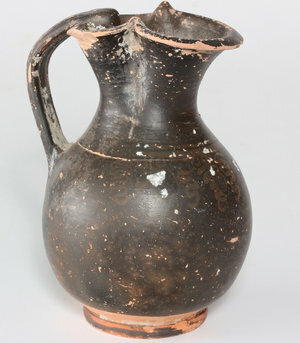 Etruria, 5th century BC. 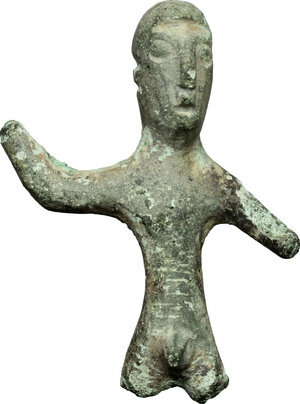 28 mm, 5.51 g.
Coins 399 - Archaic bronze 'kouros' figure. 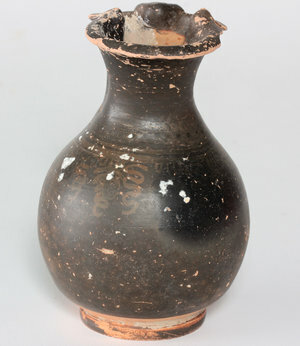 Etruria, 5th century BC. 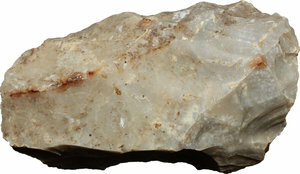 93 x 38 mm. 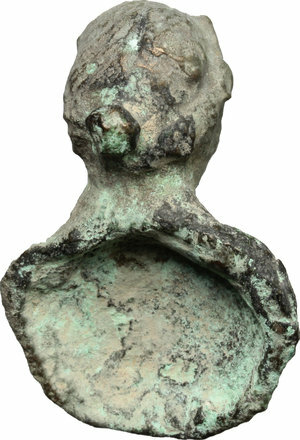 Coins 400 - Bronze votive figure. 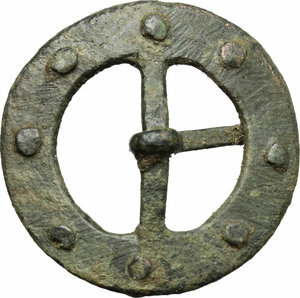 Italy, Etruria, 4th-3rd century BC. 37 x 28 mm. 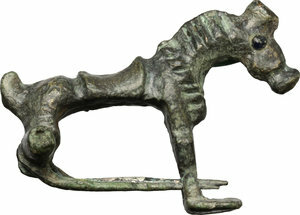 Lot 401 - Bronze 'ombra della sera' figurine. 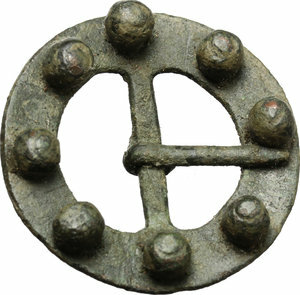 Italy, Umbria, 4th-3rd century BC. 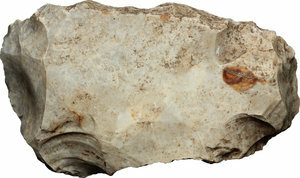 45 x 16 mm. 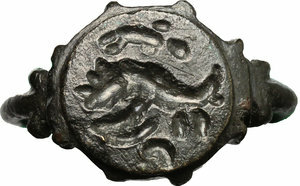 Lot 402 - Bronze votive thunderbolt. 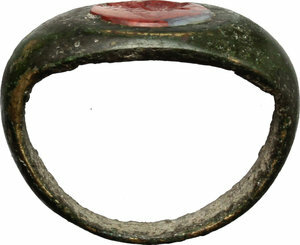 Italy, Umbria, 4th-3rd century BC. 15 x 15 mm. Coins 403 - Red-figure lekanis with lid. Decorated with two female heads. 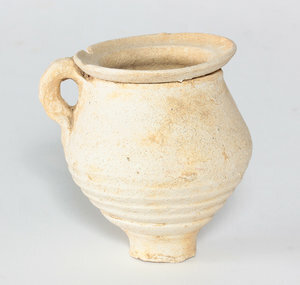 Apulia, 4th-3rd century BC.H. 85 mm. Diameter 85 mm. 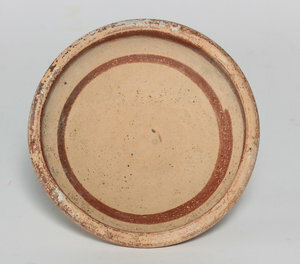 Lot 404 - Terracotta cup decorated with added red. 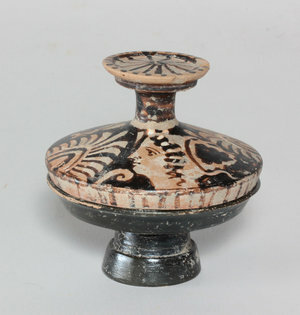 Greek, 4th-3rd century BC. H. 60 mm. Diameter 111 mm. 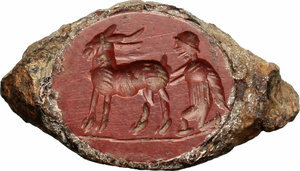 Coins 405 - Terracotta olpe. 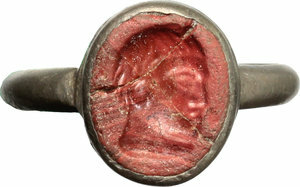 Greek, 4th-3rd century BC. H. 90 mm. 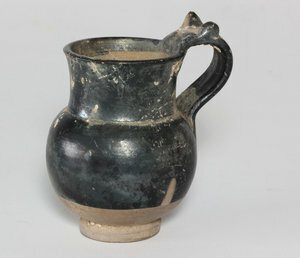 Lot 406 - Black glazed oinochoe with details in added white. 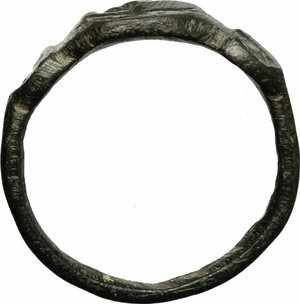 Gnathia, 4th-3rd century BC. H. 135 mm. Coins 407 - Black glazed caleno ware olpe. Campania, 3rd century BC. 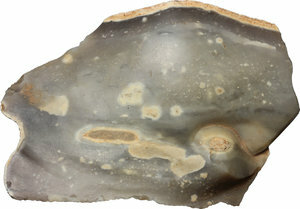 H. 115 mm. 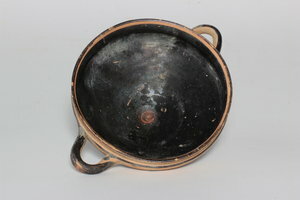 Lot 408 - Black-glazed Kylix. 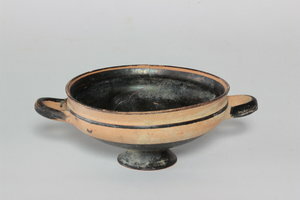 Greek, 3rd century BC. Diameter 180 mm (incl. handles). 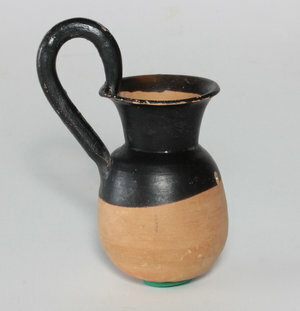 Lot 409 - Black glazed Caleno ware olpe. 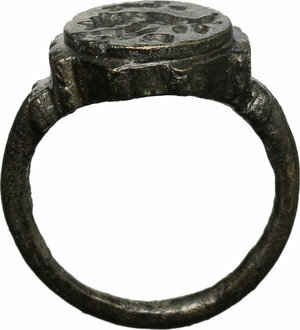 3rd century BC. H. 115 mm. Coins 410 - Lot of 5 lead sling bullets. Greek or Roman period. Approx. 27 x 16 mm each. 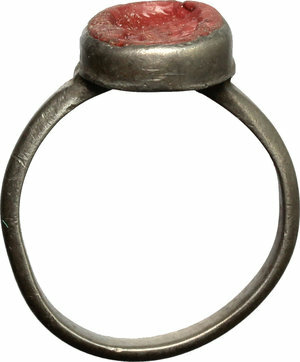 Lot 413 - Silver ring, the bezel in glass paste with engraved face. 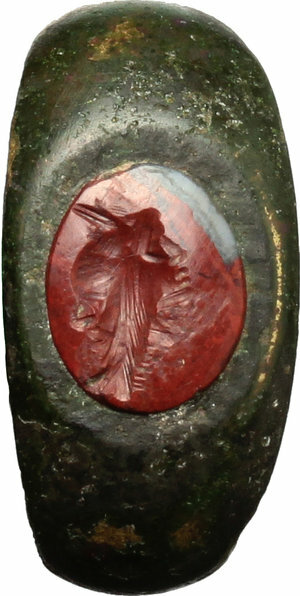 Roman period, 2nd-3rd century AD. Size 19 mm. 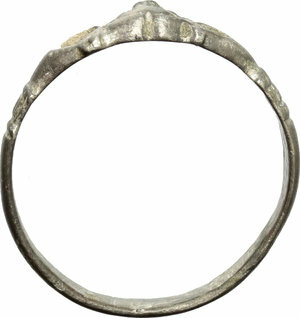 Lot 414 - Silver ring with two hands holding mask. Roman period, 1st-3rd century AD. Size 18 mm. 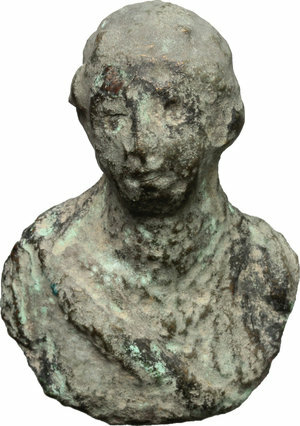 Lot 415 - Bronze applique in the shape of female bust. Roman period, 1st-3rd century AD. 41 x 29 mm. 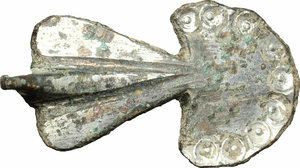 Coins 417 - Silver gilded fibula in the shape of peacock. Roman period, 1st-3rd century AD. 34 x 19 mm. 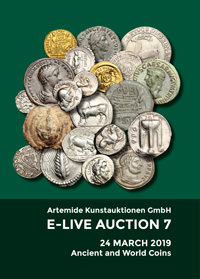 Coins 418 - Bronze applique with female bust. Roman period, 1st-3rd century AD. 27 x 18 mm. 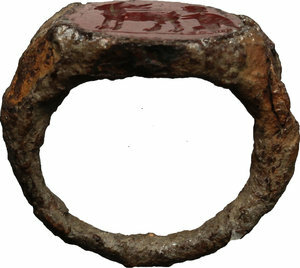 Lot 419 - Bronze ring, the bezel engraved with shrimp (?). 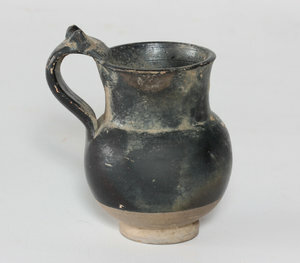 Roman period, 1st-5th century AD. Size 18.5 mm. 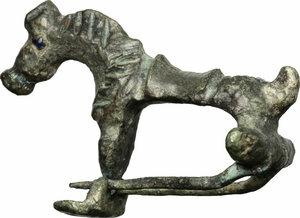 Lot 420 - Bronze horse shaped fibula. 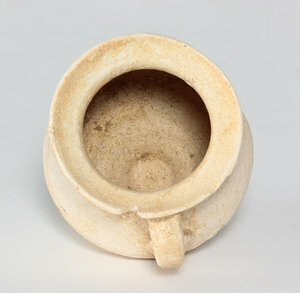 Roman period, 3th-5th century AD. 45 x 26 mm. 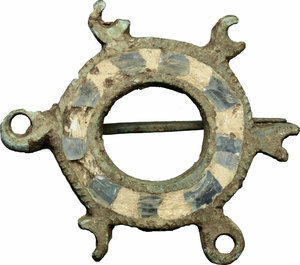 Lot 421 - Bronze fibula with glass paste inlaid. 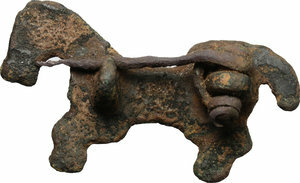 Migration period, 9th-10th century AD. Size 34 mm. 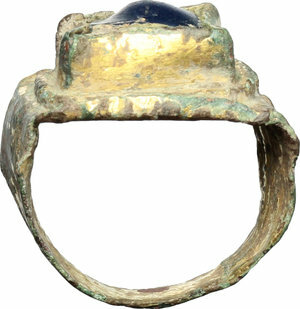 Lot 422 - Gilded bronze ring with blue glass paste bezel. Migration period, 9th-10th century AD. Size 16.5 mm. 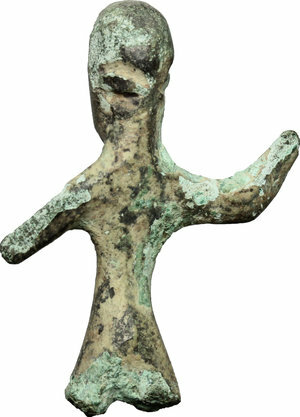 Lot 423 - Bronze enkolpion. 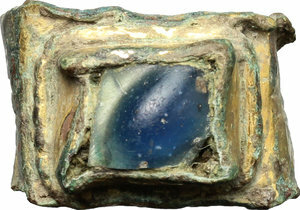 Byzantine, 9th-11th century AD. 46 x 22 mm. 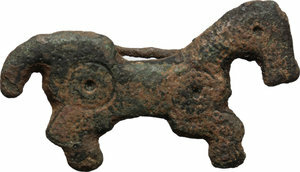 Lot 424 - Bronze fibula. 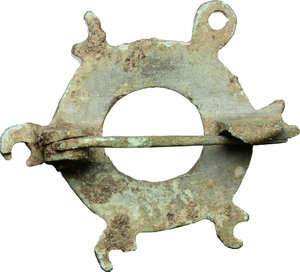 Late Roman or Early Medieval period. 32 mm. 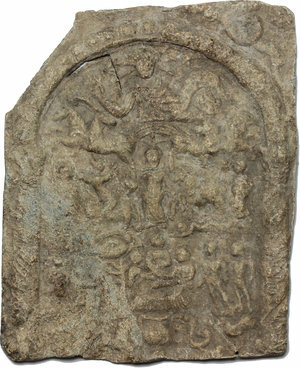 Lot 425 - Danubian valley mystery plaque. 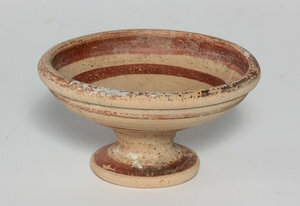 Roman period, 4th century A.D. 95 x 80 mm. 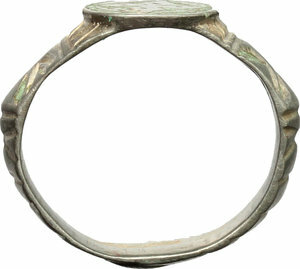 Lot 426 - Bronze ring, the bezel engraved with standing figure. 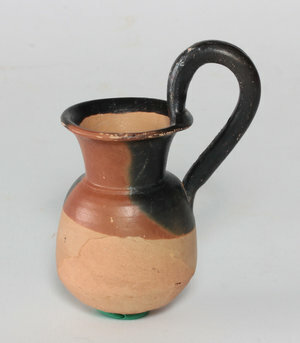 Late Roman or Medieval period. Size 19 mm. 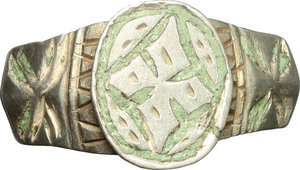 Lot 427 - Medieval silver ring, the bezel engraved with cross, decorated with geometrical patterns. Size 18.5 mm. 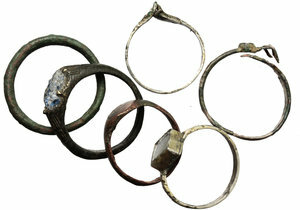 Coins 428 - Lot of 6 rings. Silver and bronze. Roman - Medieval period. 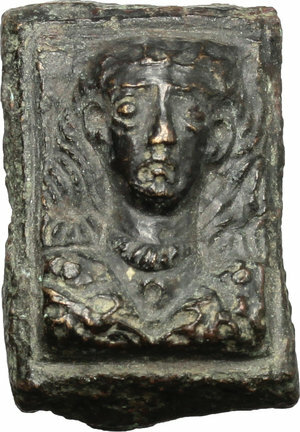 Lot 429 - Bronze belt terminal decorated with ebossed faces. Medieval. 79 x 24 mm. 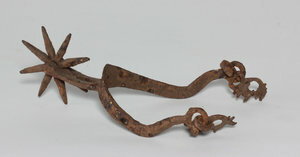 Lot 430 - Medieval iron spur with large rowel. 160 x 100 mm.